Although the domestic season is all but over, with just a couple of EFL Play-Off Finals to be completed, several players associated with Chelsea are participating on the international stage. One such player is our young striker Tammy Abraham. Tammy has spent the last two seasons out on loan. In the 2016 / 2017 season, Abraham spent a very successful campaign with Bristol City, in the Championship, where his goal-scoring exploits endeared him to the Ashton Gate support. As a result, he collected several end-of-season awards from the West Country club. 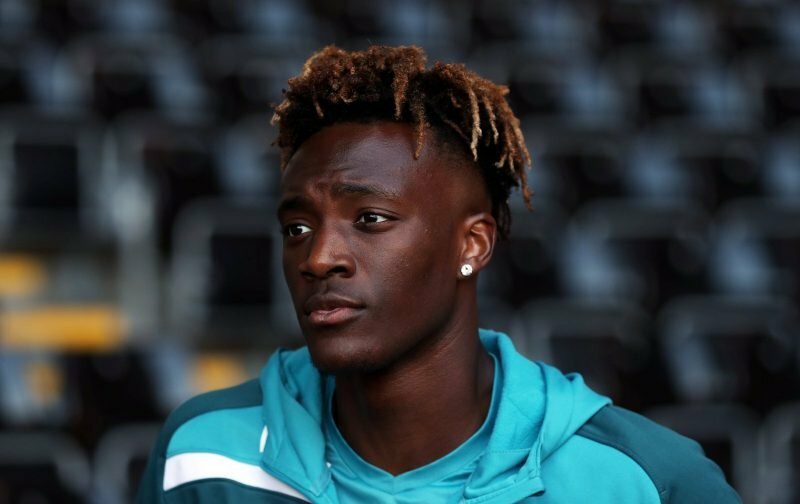 Last season, Tammy was sent to the Premier League side Swansea City, presumably to see if he could continue his goal-scoring prowess at a higher level. For Tammy, it was a season of mixed fortunes. Swansea suffered the indignity of being relegated with Tammy managing just 5 goals. However, he did earn a first full England cap, an indication that he was making the kind of progress Chelsea hoped for. Yesterday, back in the U21 fold, Tammy emerged the hero as the U21 side took on China in the Toulon tournament. With the game delicately balanced at 1-1, Tammy popped up five minutes from the end to score the winner for Aidy Boothroyd’s side. It may have only been a tap-in from close range, but it showed Tammy’s ability to be in the right place at the right time. However, it remains to be seen whether Tammy, come the start of the 2018 / 2019 season, will remain at Chelsea or whether he’ll, once again, be packing a suitcase and be sent out on loan, much like another promising young striker whose name springs to mind, Patrick Bamford. But, if asked, what do you see happening to Tammy come the start of the new season? Please feel free to leave your thoughts in the comments facility beneath this article. It’s quite unfortunate that Chelsea do not leave room for young talents to grow as evidenced by the number of young players out on loan. Let the young lad force a move to where he would play regular football. Young Chelsea striker…theres an interesting phrase. It was once applied to a certain Lukaku who is now scheduled to be playing Champions League football nect season.
. Unfortunately not as a Chelsea player. Yet his allegedly superior counterpart so called by “true chelsea fans” is now neing called ” a donkey ” by a chelsea fan who favours hos replacement by a certain Mario Balotelli. Nothing more needs to be said about so called Chelsea fans intelligence. I do believe the current situation Chelsea faces is ultimate proof of the truth and validity of my previous amd current views as to whether Chelsea dhpuld have held on to Lukaku. Very true and I stop reading this site mostly now but would be good to get it back to former glories!